1.) Cut your smoked ham into strips. Wash, dry, cut and shred your carrots. Cut your onions into small pieces. In a hot oiled skilled add your onions and carrots. Fry for 3 minutes on a medium heat. While mixing occasionally. In a large bowl add your eggs and mix well. 2.) Pour your egg mixture onto a hot oiled skillet and fry for about 3 minutes on both sides. (6 minutes total) Let your egg cool and cut it into long strips. 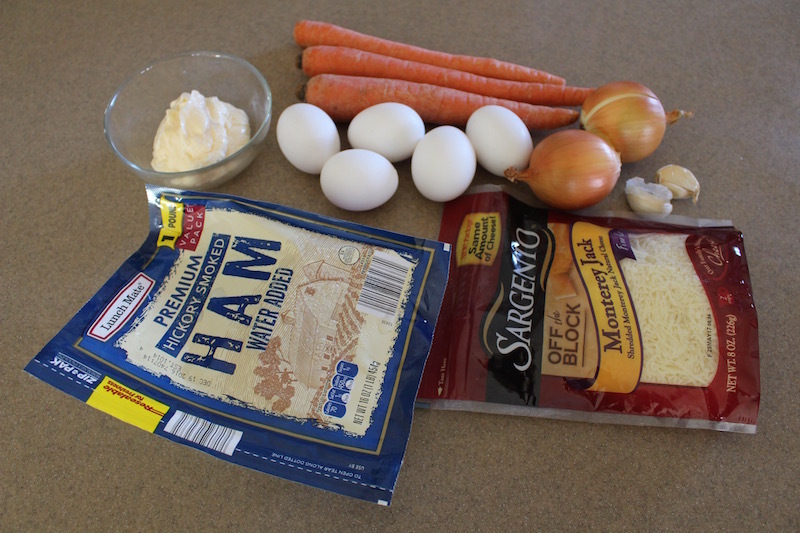 In a large bowl add your smoked ham, carrots, eggs, mayonnaise, lemon pepper and crushed garlic. Mix well. 3.) 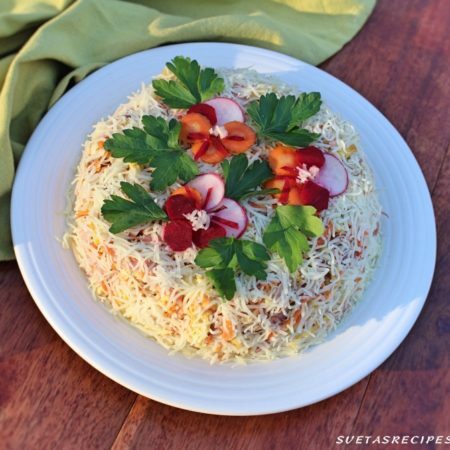 Place your salad mixture on a plate, add your cheese on top and on the sides. Decorate and enjoy! Cut your smoked ham into strips. Wash, dry, cut and shred your carrots. Cut your onions into small pieces. In a hot oiled skilled add your onions and carrots. Fry for 3 minutes on a medium heat. While mixing occasionally. In a large bowl add your eggs and mix well. 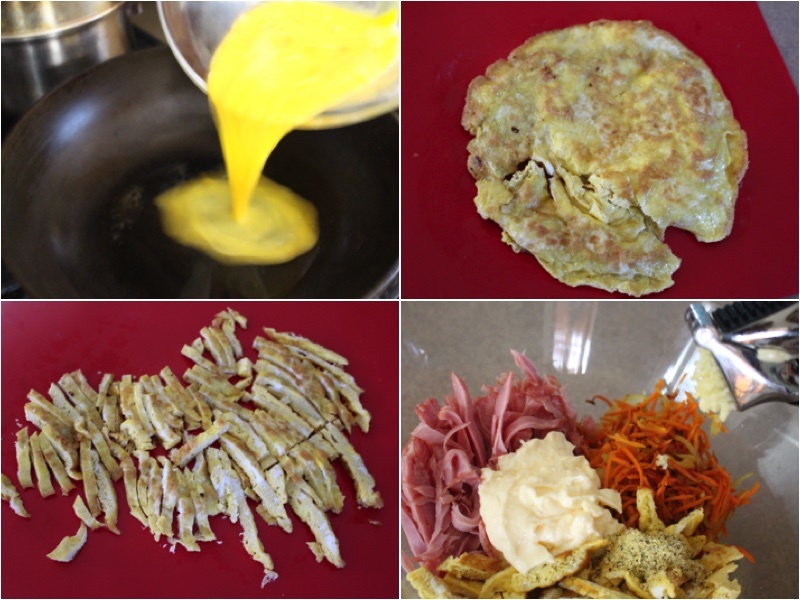 Pour your egg mixture onto a hot oiled skillet and fry for about 3 minutes on both sides. 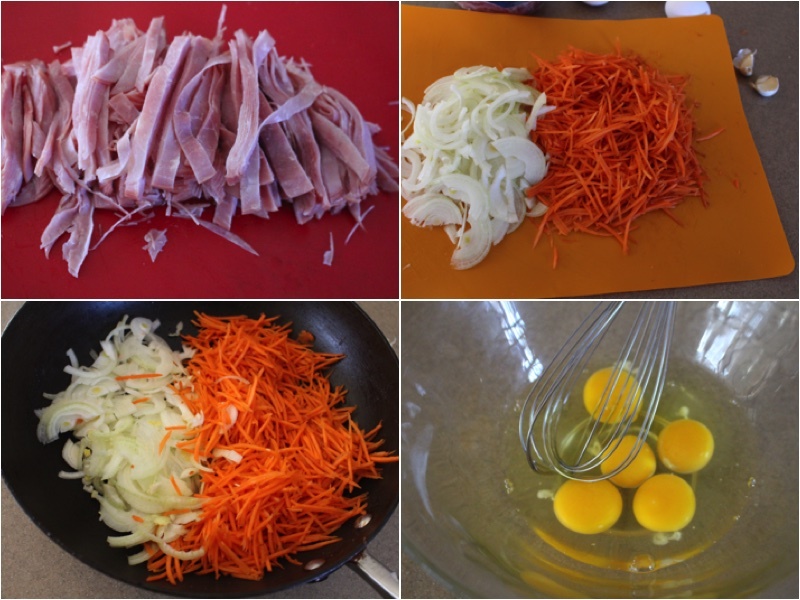 (6 minutes total) Let your egg cool and cut it into long strips. 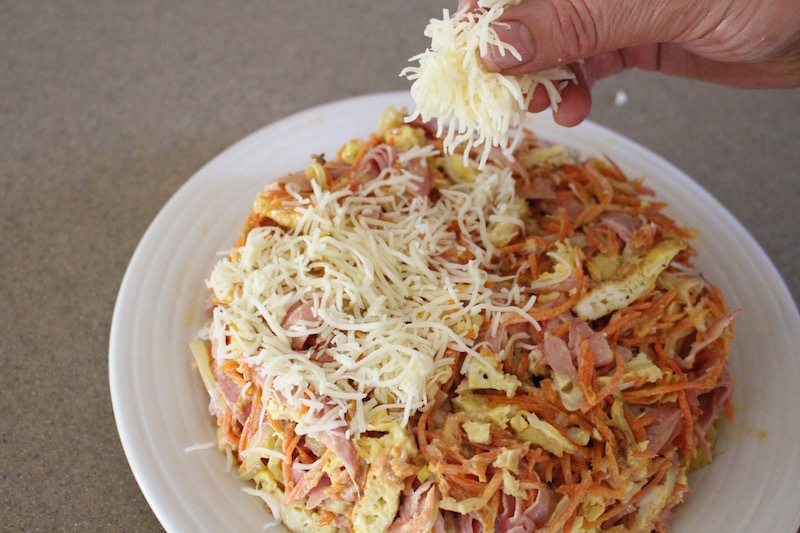 In a large bowl add your smoked ham, carrots, eggs, mayonnaise, lemon pepper and crushed garlic. Mix well. 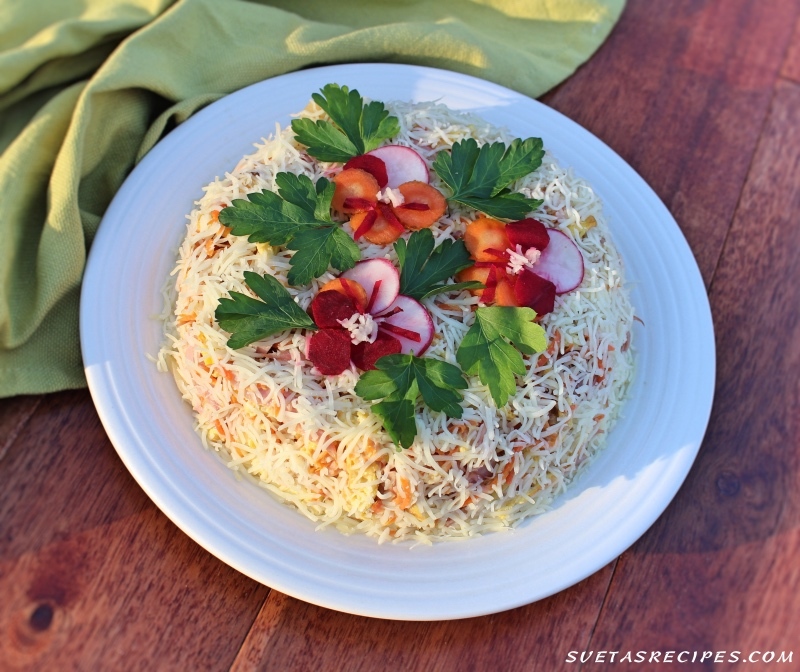 Place your salad mixture on a plate, add your cheese on top and on the sides. Decorate and enjoy! Можно ли сделать этот салат за день до подачи на стол ? Да, вы можете, но оформление должно быть сделано на следующий день.